Aims: In this research, modified Acroptilon repens (Russian knapweed) flower powder was used as a novel adsorbent for removal of Cr (VI) from synthetic wastewater. Materials and Methods: The batch adsorption studies were performed under various laboratory conditions with initial chromium concentrations of 2, 10 and 15 mg/l, adsorbent dose of 0.05-0.2 g/100 ml, contact time of 30-240, min and pH of 2-9. The solution was mixed with a mechanical shaker with 120 r.p.m. at 20°C. The suitability of the adsorbent was evaluated using Langmuir, Freundlich and Temkin isotherm models. For kinetic study, pseudo-first-order and pseudo-second-order kinetics were used. Results: The results indicated that maximum adsorption was achieved in acidic conditions. The optimum pH for the removal was 2. The capacity of chromium adsorption at equilibrium conditions increased by increasing the concentration of the adsorbate. The results also showed that the removal efficiency of Cr (VI) increased with increasing contact time. On increasing the initial concentration of the Cr (VI) solution, chromium removal reduced. The Freundlich and Langmuir isotherm models gave better accordance to the adsorption data in comparison with the Temkin equation. Adsorption of Cr (VI) followed pseudo-second-order kinetics rather than the pseudo-first-order kinetics. Conclusion: This study showed that modified Russian knapweed flower powder can be used as an effective lignocellulosic biomaterial and biosorbent for removal of Cr (VI) from wastewater. Aims: The main goal of this study was to determine of the removal efficiency of chemical oxygen demand (COD) from educational hospital waste-water using electrocoagulation process by using iron and aluminum electrodes. Materials and Methods: A laboratory-scale batch reactor was conducted to determine the removal efficiency by the electrocoagulation method. Fifty-five samples of Shahid Mohammadi Hospital waste-water in Bandar Abbas were collected for the periods of 6 months according to standard methods. 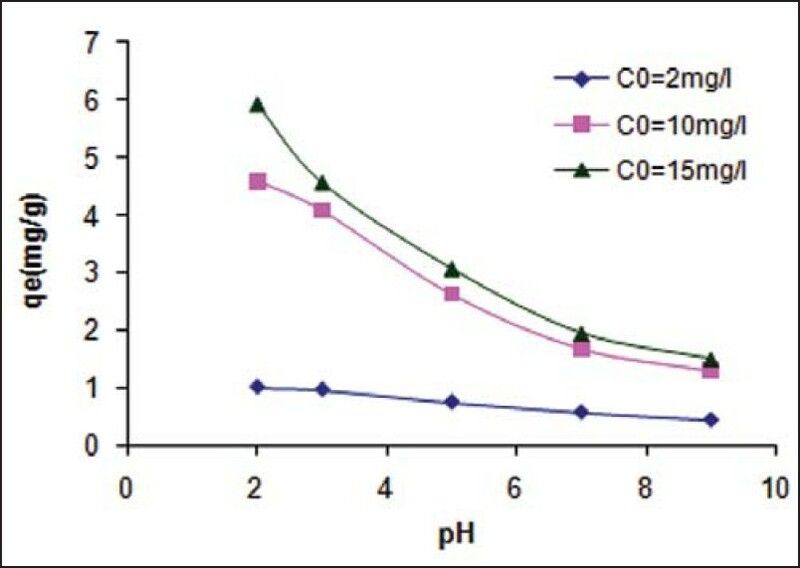 The removal of COD from the waste-water was determined at pH 3, 7, and 11 in the voltage range of 10, 20, and 30 V at the operation time of 30, 45, and 60 min. Data were analyzed in SPSS (version 16) using Pearson's correlation coefficient to analyze the relationship between these parameters. Results: The removal efficiency is increased by 6.2% with decreasing pH from 11 to 3 at the optimal condition of 30 V and 60 min operation time. By increasing the reaction time from 30 min to 60 min at voltages (10, 20, and 30 V), the removal efficiency was increased from 32.3% to 87.1%. The maximum COD removal efficiency was observed at pH 3 and voltage of 30 V and 60 min reaction time using four iron electrodes. Pearson correlation analysis showed a significant relationship between voltage and the reaction time with the removal efficiencies (P < 0.01). 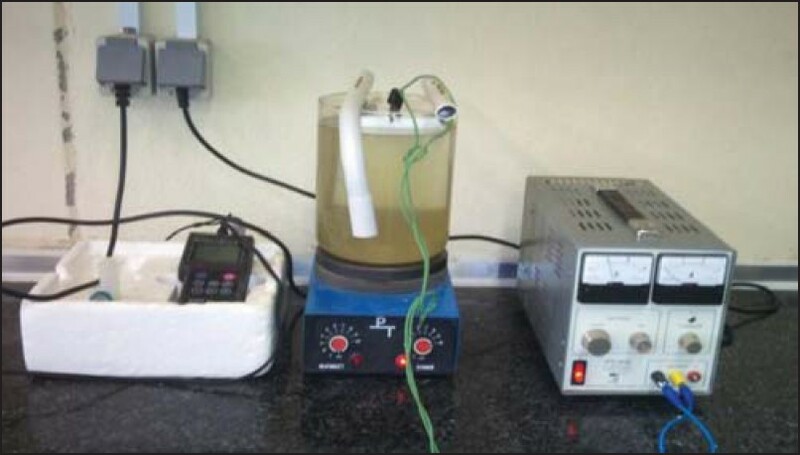 Conclusion: Due to the high efficiency of the electrocoagulation process and also the simplicity and relatively low-cost, it can be used for removing COD from hospital waste-water. Aims: The purpose of the present study was to evaluate the effect of fabric stuff of work clothing that are widely used in Iran industries on the physiological strain index (PSI) at hot conditions in the climatic chamber. Materials and Methods: This interventional study was performed upon 18 male students in 16 trials, which included combination of four kinds of work clothing (13.7% viscose (VIS) 86.3% polyester(PES), 30.2% cotton [CT]-69.8% PES, 68.5% CT-31.5% PES, 100% CT, two activity levels (light and moderate) and two kinds of climatic conditions included hot-wet (T a = 35, RH = 70%) and hot-dry (T a = 38, RH = 40%). During each trial, the RH and core temperature was recorded once a minute and then PSI was calculated. Data were analyzed by using SPSS-16 software. Results: The results showed that in hot-wet conditions, the least value of PSI in light and moderate activities was related to 100% CT clothing and 30.2% CT-69.8% PES clothing, respectively. In hot-dry conditions, the least value of PSI in both of activities was related to 30.2% CT-69.8% PES clothing. The mean value of PSI in hot-wet conditions, during moderate activity had significant difference for various clothing types (P = 0.044). Conclusion: The research findings showed that for a heat strain reduction in hot-wet conditions at light activity level, 100% CT clothing is suitable. Furthermore, at moderate activity level, 30.2% CT-69.8% PES clothing and in hot-dry conditions, 30.2% CT-69.8% PES is suitable. Aims: The present study was aimed to measurement of sound absorption coefficient of mineral wool and determination of their absorption ability. Materials and Methods: Mineral wool was used to find noise absorption coefficient. Random and normal sound absorption coefficient values were predicted. Then, the measures of transmission loss calculated as an overall value, for applied absorbent material and bare sheet metal. Results: The measured values of noise with one octave band frequency demonstrated an attenuation of 5.5-7 dB for these frequencies. The absorption coefficients of materials showed that mineral wool had more normal sound coefficients than its random sound absorption coefficient values. Conclusion: It can be concluded that predicted normal sound absorption coefficients of used mineral wool materials were near to the areas of standard line. 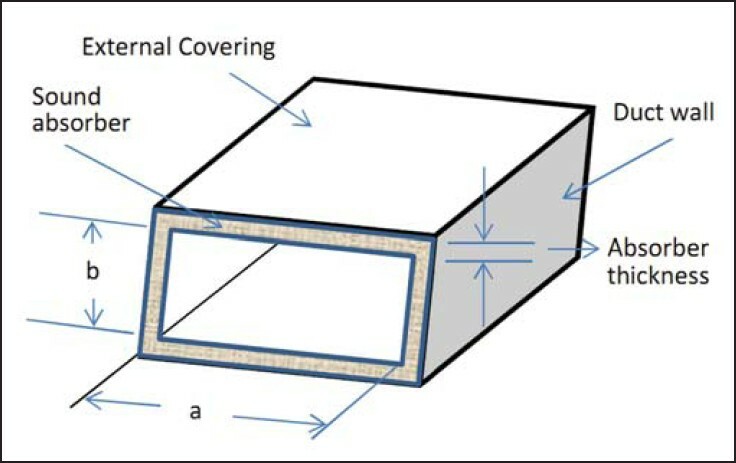 It seems that the amount or thickness of absorbent lining was a main reason of noise reduction in low band frequencies. Mineral wool has a higher density and can provide better acoustical and insulating results than fiberglass. Besides, mineral wool doesn't lose its insulating value when wet and has an outstanding resistance to fire. 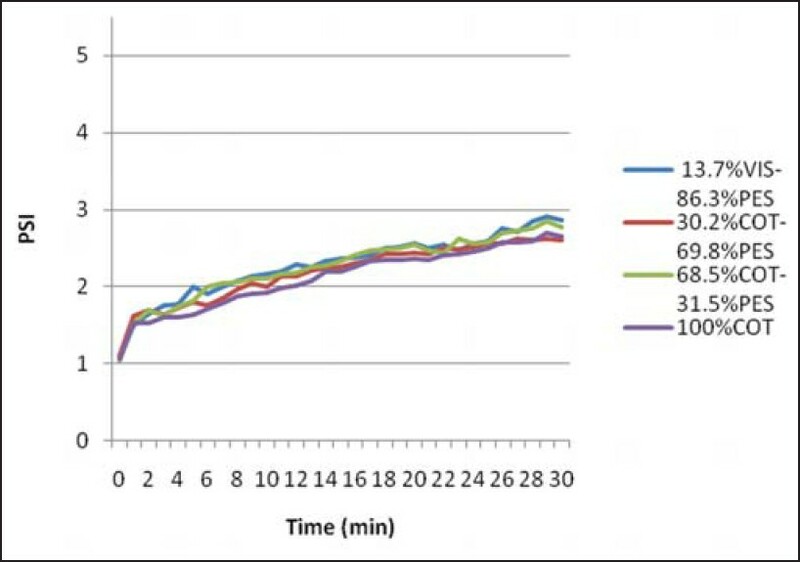 Aims: In this study, the effect of the coagulation process on treatment of simulated dairy wastewater (SDW) was investigated using the mineral and organic coagulants. Materials and Methods: Different types of coagulants such as inorganic (Alum and ferrous sulphate) and polymeric coagulants (polyacrylamide [PAA] and polyferric sulphate [PFS]) were investigated. Inorganic coagulants dosages were varied from 100 to 1000 mg/L and the polymers dosage was 20 mg/L. Turbidity, chemical oxygen demand (COD), electrical conductivity (EC) and chloride of samples were investigated in optimum pH. Results: Both two coagulants had an optimum dose and pH of 1000 mg/L and 5 respectively. According to the findings, Alum with 95% turbidity removal and 68% COD removal had more high efficiency than ferrous sulphate (95% and 62% efficiency for turbidity and COD removal respectively). When Alum via PFS and PAA as a coagulants aid were used, 82% decrease in COD was obtained using low dose of Alum (100 mg/L). 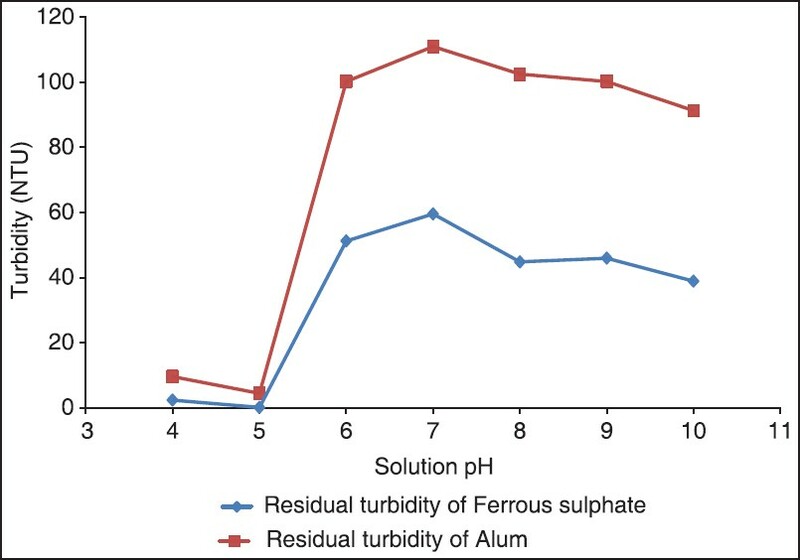 Conclusion: In studied dairy wastewater, Alum was more effective than ferrous sulphate. Addition of 20 mg/L of both two coagulants aid (PFS and PAA) effectively reduced the use of Alum and it was effective in COD removal. 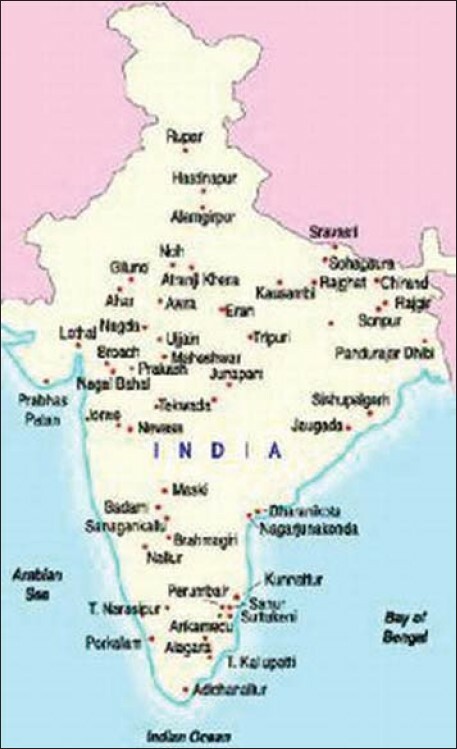 Aims: The aim of our study was to analyze the knowledge attitude and practice (KAP) of biomedical waste management among medical, paramedical students and health care professionals in Coimbatore Medical College Hospital in South India. Materials and Methods: Study was conducted among 400 health care professionals including doctors, nurses, nursing students, and laboratory technician course students. The results were evaluated. Results: It was found that the doctors had the maximum knowledge and practice among health care professionals. The results also indicate that knowledge is not uniform among individual group, and there exists considerable variation within the group. Conclusion: The results of our study revealed that the project for upgrading safety in health care initiative taken by the Government of Tamil Nadu to create awareness of biomedical waste management among health-care professionals have certainly improved the KAP on biomedical waste management. Hence, such a program is mandatory to improve the biomedical waste management in health-care centers. Aims: The aim of the present study was to investigate the optimization of the treatment process of Bushigan water treatment plant (South of Iran) in respect of turbidity and total organic carbon (TOC) removal. Materials and Methods: The water samples were collected from Shapoor river the influent water to Bushigan treatment plant. A conventional jar test apparatus was used to evaluate the coagulation process. Different dosages of poly aluminum chloride (PACl), powdered activated carbon (PAC) and chlorine (Cl 2 ) alone and with each other was used to determine their effects on removal of the turbidity and TOC. Results: The average of TOC and turbidity in raw water were 5.81 mg/L and 29 NTU respectively in all seasons. The study result showed that the removal efficiency of TOC and turbidity were improved with increasing the PACl and PAC dose. With the application of 12 mg/L PACl alone, the maximum TOC and turbidity removal efficiencies were 41% and 31%, respectively. 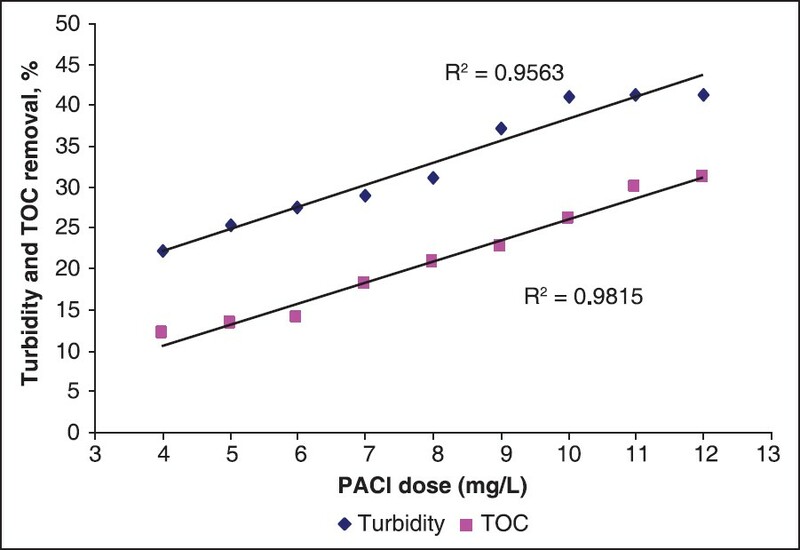 At constant PACl dose, application of PAC as coagulant aid and adsorbent improved the removal efficiency of TOC and turbidity. Conclusion: The results were showed that by common water treatment method (coagulation and precipitation) using PACl as a coagulant and also PAC and Cl 2 as an adsorbent and coagulant aid, the TOC and turbidity of water reduced to below 1 mg/L. So PAC and Cl 2 can improve the coagulation process. This method can be used for water treatment plant with drinking water contain the average TOC less than 6 mg/L.